Currently I’ve been working in the interior design industry, which evolved into my own design firm. What excites me is that I am now dividing my time between my practice as a designer and fine artist! I find that spending time in my art studio inspires my work as a designer and sourcing materials and products for design clients inspires my fine art practice. I enjoy restorative yoga (it helps me clear my mind, let go of a long day or unwind into my week-end), book-making (I took a book-making class and loved it, I look forward to learning & refining this craft), and being in my art studio. 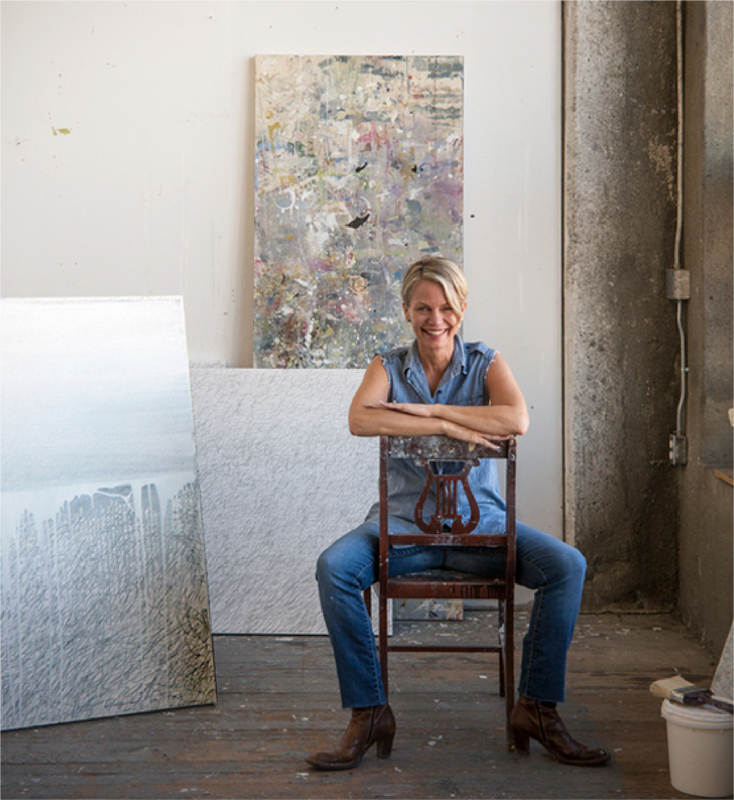 Find me taking in fresh air and city views during my walks on the Bernal Hill or in my studio at Art Explosion.